University of Victoria chemical oceanographer Jay Cullen said Monday that it’s the first time radiation has been found on the shorelines of North America since the quake and tsunami ravaged the Japanese north coast and disabled the nuclear reactor. Low levels of the radioactive isotope Cesium-134, which scientists say can only come from Fukushima, were found in waters collected on Feb. 19 off a dock at Ucluelet, B.C., about 315 kilometres west of Victoria, said Cullen. Last November, the first sample containing detectable radioactivity from Fukushima was discovered 150 kilometres off the coast of northern California. Over the past 15 months, scientists and citizen volunteers have been collecting water samples at more than 60 sites along the Canadian and U.S. west coasts and in Hawaii as they’ve looked for traces of radioactive isotopes from Japan. “This is the first sample that’s been collected in North America with this contaminated plume of sea water, which we’ve seen offshore, but it’s the first time we’ve actually seen it at the shoreline,” Cullen said. He said the arrival of radioactive water on North American shores from Japan was expected this year. The distance from Japan to Ucluelet is more than 7,600 kilometres. “The levels we are seeing are so low that we don’t expect there to be impacts on the health of either the marine environment or people living along the coast,” Cullen said. Cullen said in a statement that if a person swam for six hours each day in water with Cesium levels twice as high as those found in Ucluelet, they’d receive a radiation dose that is more than 1,000 times less than that of a single dental X-ray. Since the March 2011 earthquake and tsunami triggered the nuclear disaster, there has been widespread concern about the potential danger posed by radioactivity from Japan crossing the Pacific Ocean. Cullen leads a marine radioactivity monitoring network formed last August that includes scientists in Canada and the U.S., health experts, non-governmental organizations and citizens who help collect samples along the Pacific coast. The InFORM Network, or Integrated Fukushima Ocean Radionuclide Monitoring, received $630,000 in federal funds for three years through the Marine Environmental Observation Prediction and Response Network. Research partners in the network include Woods Hole Oceanographic Institution in Massachusetts, Health Canada, the University of Ottawa, the University of British Columbia and Fisheries and Oceans Canada. NOT the “first” time it has been found. The Canadian Government Environmental RSOE-EDIS Event Report On The Confirmed Discovery of #Fukushima Radioactive Fallout in the Fraser Valley, B.C. Canada on Wednesday, 12 March, 2014 at 04:27 (04:27 AM) UTC. Hi Kelly, The article clearly and accurately states that this was the first ocean borne contamination detected at the shoreline of North America. 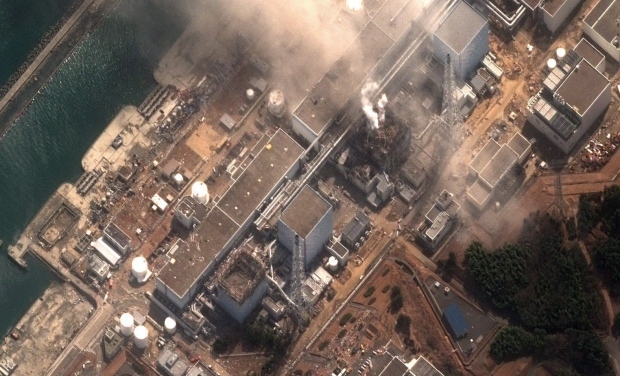 Airborne contamination transported through the atmosphere was detected in the days following the triple meltdowns in March 2011.